A NEW GENERATION OF LEADERS AT WORK. 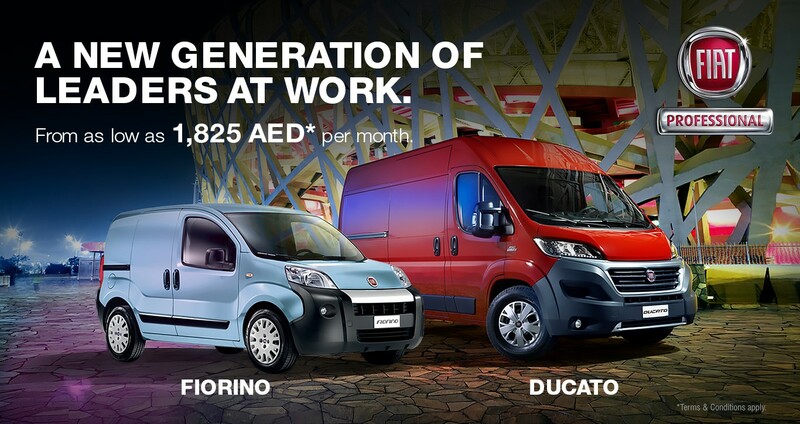 Fiorino is compact, agile and highly capable. Now even more advanced, it’s the representative of a category that is has proudly pioneered. It combines a commercial vehicle soul with a car look, together with new features to top its segment in performance, comfort, functionality, load capacity and reduced running costs. Perfect in urban missions, nimble in traffic, easy to drive and park, it is the ideal vehicle for door to door deliveries. Ducato is designed to adapt to all types of work, simply and efficiently. Its versatility is at the top of the category, in part thanks to the utmost efficiency of its load compartment, with doors that open at full height up to 270° and the lowered load platform (for moving nimbly from one stage of your work to another).